Half of all US adults are already on an unregulated law enforcement facial recognition database without even knowing it, and soon, police will be able to search through thousands of hours of footage in minutes to find anyone or anything. Following its acquisition of tech start-ups Misfit and Dextro, Taser announced last week that it was launching an AI division named Axon AI. Its aim is to help manage and improve its evidence.com cloud storage site, which houses US law enforcement body cam footage, while also developing the Axon AI platform. 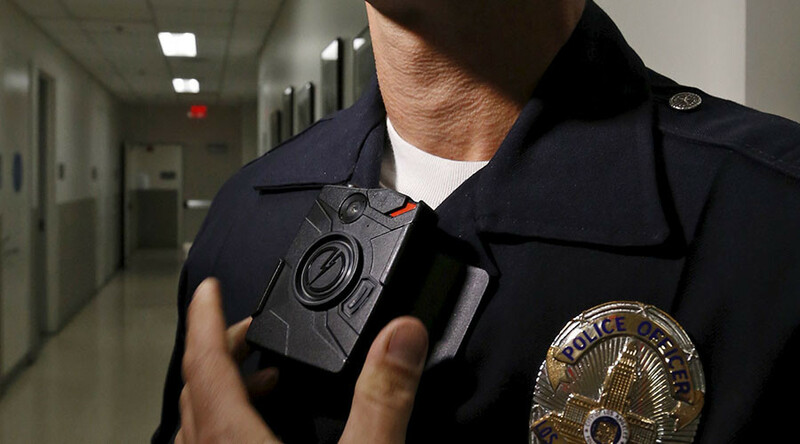 Taser now sells more body cams than it does its eponymous personal defense weapon. Dextro created the first computer vision and deep learning system that makes visual content in video searchable in real time while researchers at Misfit were working to improve the accuracy, efficiency, and speed of processing images and video. “To clarify, Dextro’s system offers computer vision techniques to identify faces and other objects for improving the efficiency of the redaction workflow. AI enables you to become more targeted when needed,” Steve Tuttle, Taser’s vice president of communications told Vocativ. Now under one roof at Axon, the combined team will develop machine learning algorithms that parse footage both in real time and retrospectively while also capable of discerning objects, individual people, and actions such as a traffic stop or a foot chase. All footage can be tagged, classified and then searched when needed. At present, it takes eight hours to redact faces from one hour of footage, but Axon AI’s future tech aims to reduce that to 90 minutes. A study by Johns Hopkins University Applied Physics Laboratory, which was sponsored by the Department of Justice’s National Institute of Justice, found that facial recognition software had been built in or was at least optional in nine of the body cams available on the market in the United States. Another study, carried out by Georgetown University’s Center on Privacy & Technology, found that 117 million American adults have been added to a law enforcement facial recognition database. Evidence.com boasts over 5.2 petabytes of information stored on its cloud servers (all US academic research libraries amount to to 2 petabytes of data). Police can search through this database and find anyone that has a state-issued photo ID such as a driver’s license and identify them in photos taken in public spaces or shared online, with no warrant. Taser wants to fully automate the documentation of each and every police encounter with live transcription and image analysis. “Police officers are spending most of their time entering information into computers. We want to automate all of that,” Taser CEO Rick Smith said Wednesday. The extent of this passive surveillance has generated concern among privacy advocates, especially in light of the NSA’s Prism program revelations leaked by Edward Snowden in 2013.